Play Dragon Warrior™ online for free now! This phenomenal slot is one of the most thrilling games on offer in our online casino! In Dragon Warrior you go back in time on a journey to the Far East. You join one of 3 clans and fight for royal treasures. Players who show a lot of bravery will be rewarded handsomely! Although this brilliantly designed game has no jackpot, it makes up for this thanks to remarkable extra features. And due to our virtual currency, the Twist, this slot can often be played free of charge. 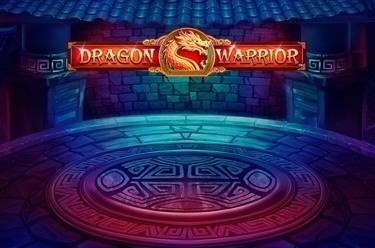 Dragon Warrior is an Asia slot with 5 reels and 30 win lines. 5 identical symbols side by side on one of the win lines running from left to right will shower you with winnings. The Dragon symbol acts as Wild symbol and substitutes for any other symbol to complete winning combos. The Scatter symbol, a Red Door, triggers free games when it lands often enough on the reels. The Scatter symbol, the Red Door, adds plenty of excitement in Dragon Warrior. If it appears 7 to 9 times on reels 2, 3 or 4, 8 to 30 free games are triggered. During these free games your joy will know no bounds, because your chances of winning are excellent thanks to the MEGA STACKS feature. What is MEGA STACKS all about? It’s simple: Dragon (Wild) and Door symbols (Scatter/Bonus) land stacked on the reels, which means in blocks of symbols that stretch across several fields. In addition, another symbol is randomly turned into the MEGA STACK (stacked) symbol which increases your chances of winning further. Dragon Warrior can be enjoyed online on more devices than just your computer. This NOVOMATIC slot can also be played on smartphones or tablets and has been specifically adapted for your mobile phone. 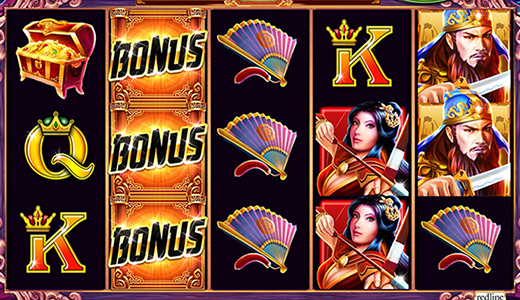 This means: This slot game can easily be played on small screens and is ideal for gaming on the go. If you like Dragon Warrior it's time to rejoice because: our casino has plenty more similarly exciting slots in store. How about Asian Fortunes, for example, an ultramodern game that has been causing a stir for some time now? Also highly recommended: hit games such as Asian Diamonds or Katana that stand out due to their excellent gameplay. Aforementioned slots are just a small part of our comprehensive range comprising of several hundred games. We are particularly proud of our Novoline top games like Book of Ra, Sizzling Hot or Lucky Lady’s Charm – some of the most popular slot games ever. Apart from slots our online casino also features table games, skill games and classics like Bingo or Poker, so you can easily see that gaming fun is paramount on GameTwist! Play for Twist prizes on GameTwist! If you are a dab hand at Dragon Warrior online or other slots, then you will take a liking to our ranked games. Here’s how it works: We periodically come up with special rankings topics that feature particular slots. Of course these frequently include Novoline hit slots. When such a promotion gets on the way, you better play like there's no tomorrow! The frontrunners are shown online in the relevant ranking and top players are showered with Twists at the end. Do you fancy it? Then visit our homepage on a regular basis to not miss out on any of our ranked games!